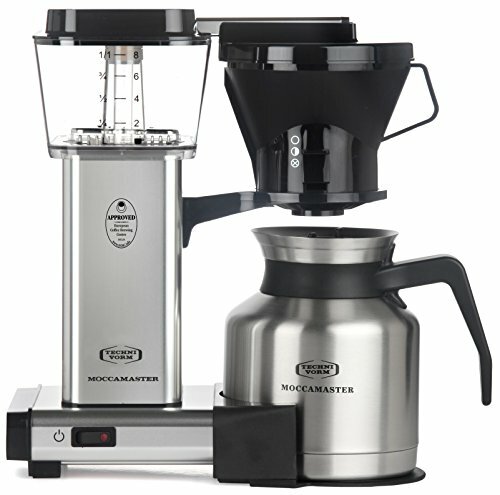 The Moccamaster KBTS model features a thermal carafe and a manual- adjust, drip-stop brew-basket which provides adjustability in how fast coffee flows into the carafe. The KBTS brews a full 32oz pot of coffee in six minutes. The thermal carafe will keep your coffee hot up to an hour. To keep coffee hot longer or for traveling with your carafe, switch to the included Travel Lid. All Moccamaster Coffee Brewers are handmade in the Netherlands and backed by an industry leading 5-year warranty. 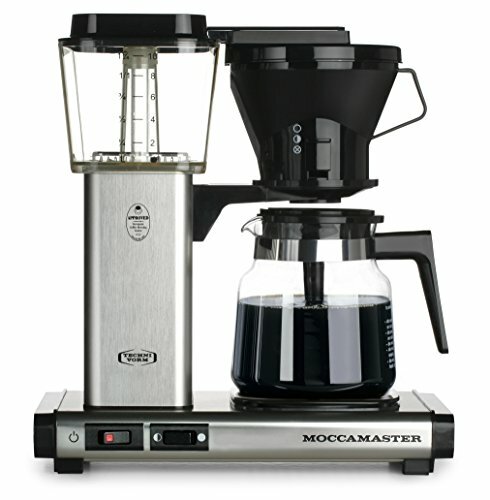 The moccamaster kbgt 79312 features a thermal carafe and an automatic drip-stop brew-basket that stops the flow of Coffee if the carafe is pulled away. The kbgt brews a full 40oz pot of Coffee in six minutes. The thermal carafe will keep your Coffee hot up to an hour. To keep Coffee hot for longer or traveling with your carafe, switch to the included travel lid. All moccamaster Coffee brewers are handmade in the Netherlands and backed by an industry leading 5-year warranty. 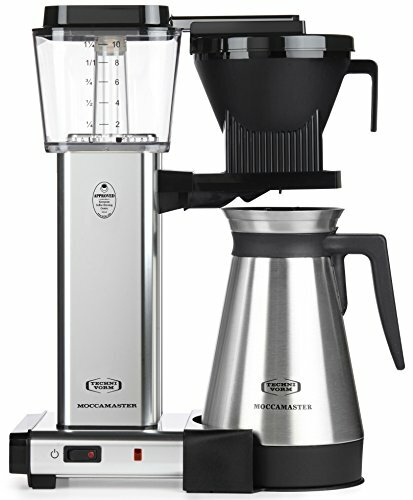 The glass carafe maintains coffee quality, integrity and taste on a unique, independent hot-plate element engineered to hold coffee temperature between 175 to 185 degrees Fahrenheit for a maximum 100 minutes and then automatically shuts off. 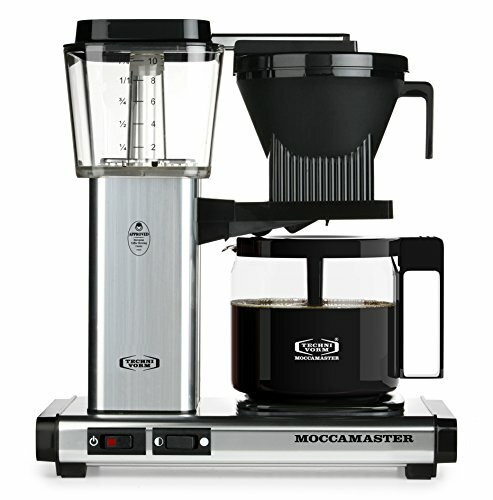 The moccamaster cdt Grand is perfect for those who entertain, small offices and Coffee shops. This brewer 39340 brews a full 60oz pot of Coffee in six minutes and includes a thermal carafe that will keep your Coffee hot up to an hour and brews a full 64 oz pot of Coffee in six minutes. To keep Coffee hot longer or for traveling with your carafe, switch to the included travel lid. The cdt Grand has a commercial style, flat bottom brew-basket and it is recommended to only brew a full pot of Coffee with this model. All moccamaster Coffee brewers are handmade in the Netherlands and backed by an industry leading 5-year warranty. 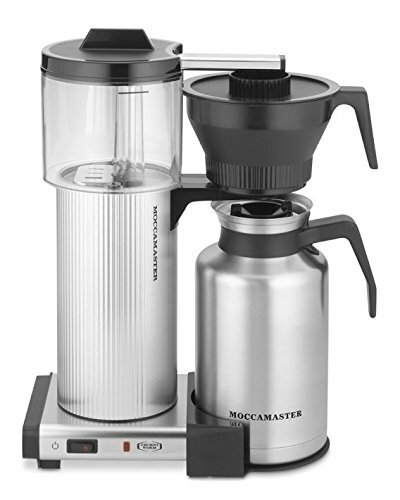 The moccamaster cdt 89213 features a thermal carafe and a manual- adjust, drip-stop brew-basket which provides adjustability in how fast Coffee flows into the carafe. The cdt brews a full 40oz pot of Coffee in six minutes. The thermal carafe will keep your Coffee hot up to an hour. To keep Coffee hot longer or for traveling with your carafe, switch to the included travel lid. All moccamaster Coffee brewers are handmade in the Netherlands and backed by an industry leading 5-year warranty. 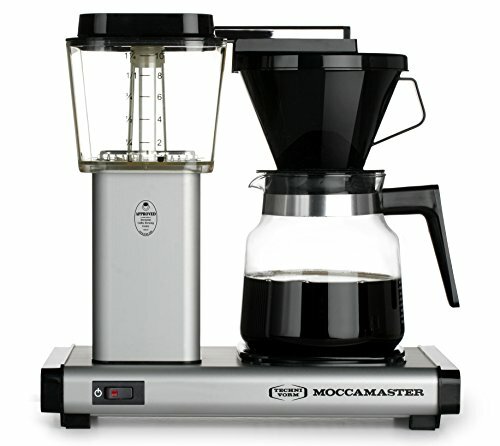 The moccamaster K 59712 features a glass carafe and a pour over brew-basket that sits directly on top of the carafe. The K brews a full 40oz pot of Coffee in six minutes. Coffee is then held on our unique hot-plate; which is engineered with a separate, independent element that rolls heat into the Coffee to ensure an even taste from the first cup to the last drop. The hot-plate holds Coffee between 175° and 185° F, while never burning your Coffee. After 100 minutes, the hot-plate will automatically turn-off. All moccamaster Coffee brewers are handmade in the Netherlands and backed by an industry leading 5-year warranty. 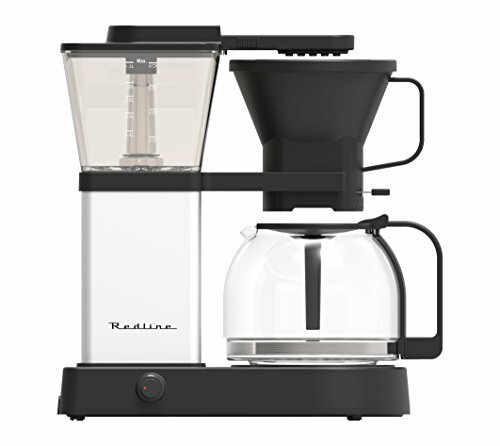 A customer favorite, this quiet, simple-to-operate coffee maker is handmade and tested in the Netherlands. 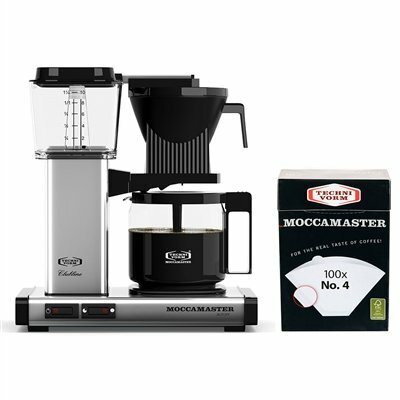 Manufactured to meet the high standards of the Specialty Coffee Association of America, the Moccamaster brews a delicious cup of coffee in just six minutes. Technivorm Moccamaster Best Coffee Maker Ever! 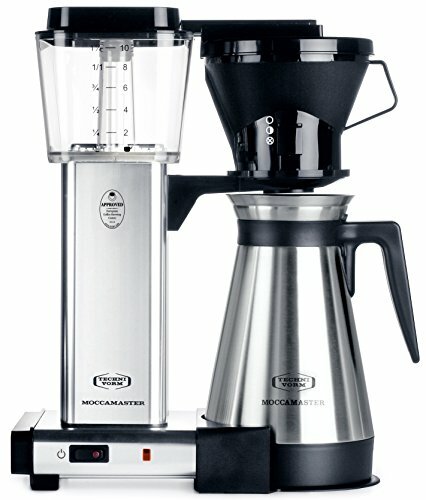 Looking for more Technivorm Drip Coffee Maker similar ideas? Try to explore these searches: Double Sided Diafold Diamond, Key Holder Chain, and Dreamsack Pillow. Shopwion.com is the smartest way for comparison shopping: compare prices from most trusted leading online stores for best Technivorm Drip Coffee Maker, Red Buckeyes Keychain, Anvil Sheer T-Shirt, Maker Coffee Technivorm Drip . 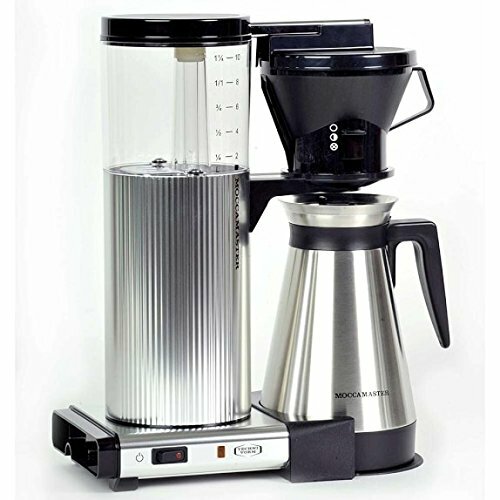 Don't miss this Technivorm Drip Coffee Maker today, April 20, 2019 deals, updated daily.